We've been building and restoring boats here at Six River Marine since 1994 and during this time, we've had the opportunity to work with a number of Naval Architects and designers on behalf of our customers. We're pleased to now offer a number of these design services in-house. This provides our customers with a one-stop shop for everything from initial concept drawings to complete execution of your project. We're fortunate to be working with Eliot "Al" Spalding, N.A. (Naval Architect) in our new design office. 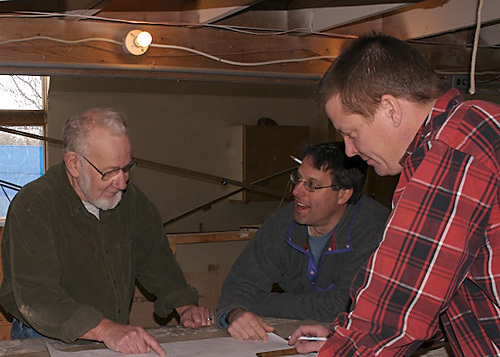 Al's design experience includes 15 years with John G. Alden, where he achieved the position of Chief Designer, and as a principal partner in the design firms of Andel Associates, Marbridge Associates and Lowell and Spalding. His proven designs have resulted in sail and power vessels ranging from 8 to 95 feet. Most recently, Al applied his design expertise in the creation of our Harbor Island series of boats.